As with every year, the last episode of the year is our paddock-famous, funny and most-awaited Inside Line F1 Podcast Awards. Yes, these are our alternative (okay, you can use the word parody too) awards in the world of Formula 1. If our tagline - 'the winner is never who you think it is!' - is anything to go by, we promise you half an hour of laughter as we relive the most-memorable and unforgettable moments of the 2018 Formula 1 Season. In fact, only at our awards ceremony are the nominations as much fun as the actual winners! As we draw the curtains to 2018, here's wishing you and your families a Happy New Year. Thank you for sharing our passion. See you in 2019! 0:00-4:00: What are the Inside Line F1 Podcast Awards all about? As we are often told with varying degrees of efficacy, things in the F1 past were very different. And so it was if we jump back four decades almost to the day. Try to imagine a team known mainly as wayward midfield plodders turning up at round one and jumping clean over allcomers; starting the year with two easy victories. Then try to imagine that after that things about as quickly got difficult again, and the team sank from championship contention. 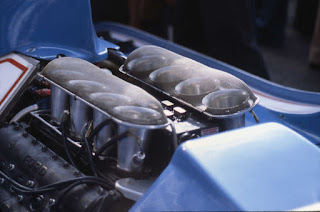 For Motorsport Week I look back to the 1979 season and the very brief rise and subsequent fall of Ligier, as well as analyse what explains the two sharp shifts. 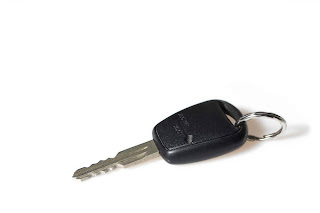 Approaching used-car dealers is recommended since they will buy almost any car, even if it is scratched or dented. In case the car has any dents, they do touch-ups to recondition it. As a seller, you should check several credible car dealers, comparing their valuations and returns on the sale of your vehicle to avoid being shortchanged. This method is hassle-free as they provide you with full services and handle all the documentation of the sale process. Selling to trusted cash for cars dealers is safe and straightforward as they have a ready market and, so your car is sold fast. 2) Ensure Your Car Has a "Curb Appeal"
The first impression that greets a buyer is the car's physical outlook. Before putting your car up for sale, make sure it is clean. A dirty car leaves the impression that you have not cared for it and this will turn off buyers. It would help if you got it washed and vacuumed. Also, remove all your belongings including custom bumper stickers. Do not forget to wipe the wheels, mirrors, and the windows. Consider implementing some minor upgrades that will not cost you much such as new seat covers and car mats. This will help your car look more attractive for the buyers. 1994 was supposed to be the year JJ Lehto became one of F1's top drivers, but the season ended his Grand Prix career. How did such a golden opportunity turn into a poisoned chalice? 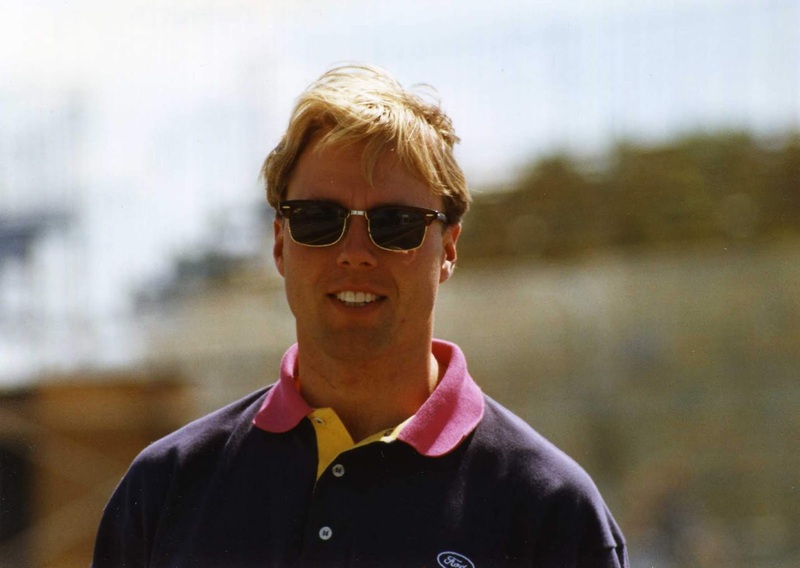 Coming into that year Lehto was considered a rising star having tested for Ferrari and secured an incredible third at Imola 1991 driving for unfancied Scuderia Italia. After beating former race winner Michele Alboreto to the second Benetton seat for 1994, Lehto would have been forgiven for thinking regular podium visits were just around the corner. This was the Finn's first top F1 drive after five years within F1 and the new Benetton proved extremely quick in Michael Schumacher's hands. But that was as good as things got for JJ because on the 21st January 1994 he was lucky to survive a massive neck-breaking accident while testing the B194 at Silverstone. This month, therefore, marks the 25th anniversary of that. Few realised Lehto's girlfriend had just become pregnant only days before that accident. So you can imagine thoughts of not wanting his unborn child to grow up without him might have been circulating within Lehto's head as he laid in the hospital recovering. 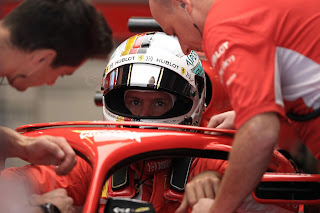 Ferrari's '670' (or their 2019 Formula 1 car) will be unveiled to the public on 15th February, 2019. But what significance does the number '670' have for Ferrari? We try to decipher further in this week's episode of the Inside Line F1 Podcast. Also in this episode, we replace the What Wolff Said This Week section with What Marko Said This Week, because he did say one thing too many and everything too funny! 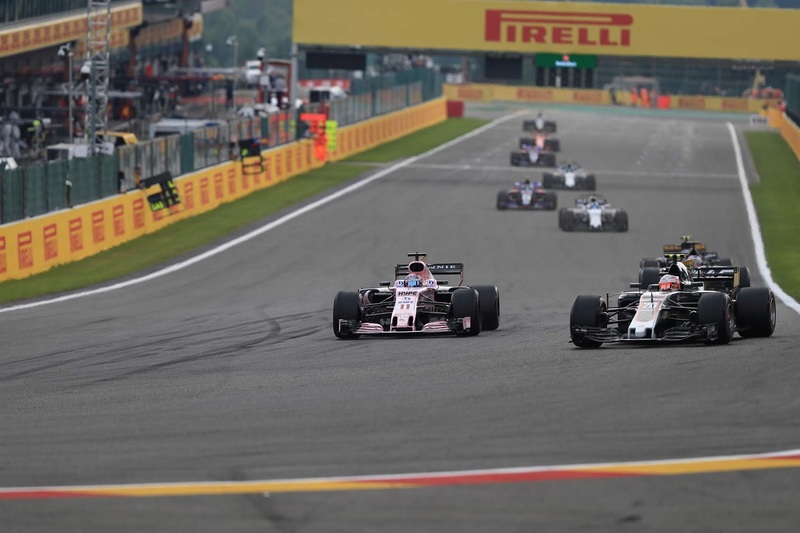 Charles Leclerc's target of '2 wins in 2019' seem unambitious, we tell you why. Could Brendon Hartley be Porsche's Formula E driver for next year? We share an important life lesson from his Motorsport career. 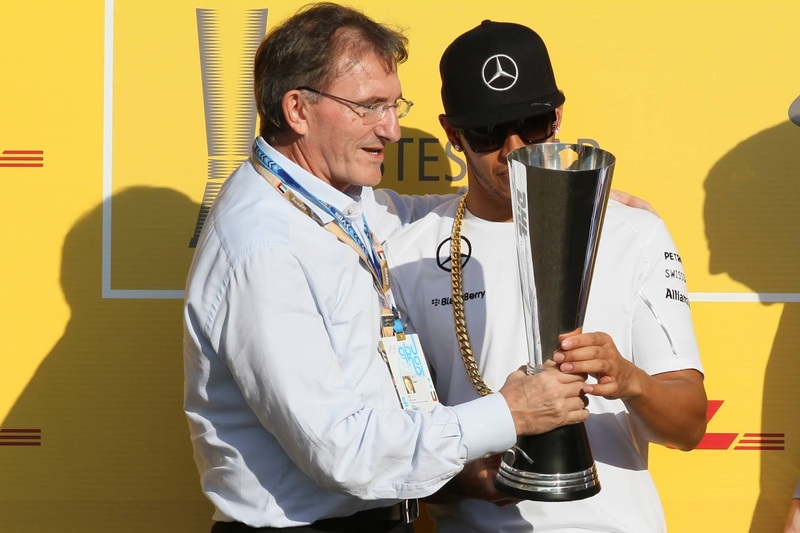 And finally, did you know that Lewis Hamilton is open to playing second fiddle in Mercedes? Tune in! 3:00-6:00: We speak Formula E; the only series that rewards drivers for racing off the line? Are Formula E cars as strong as go-karts? 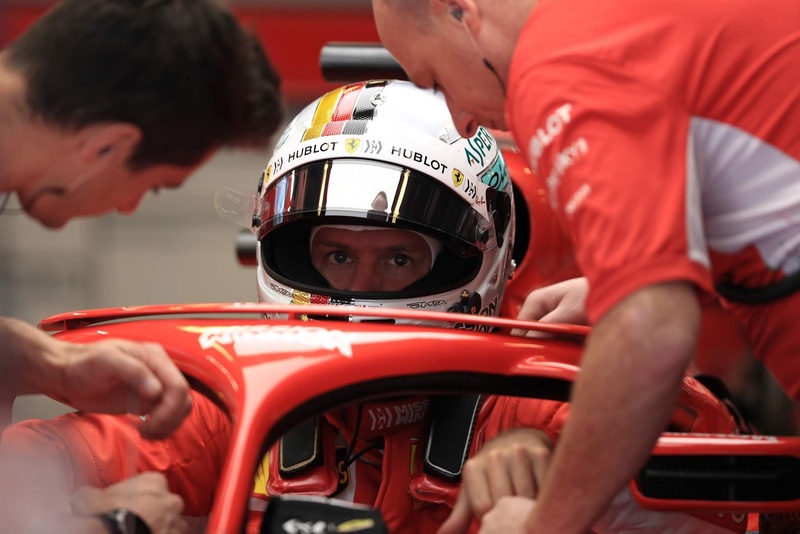 6:00-9:00: Why have Ferrari codenamed their 2019 F1 car '670'? 9:00-12:00: What Marko Said This Week - are Red Bull really not interested in Mick Schumacher? Are Red Bull drumming up unnecessary PR with regards to their Honda partnership? 12:00-15:00: WHAT IF Verstappen gets an unreliable and slow engine in 2019? 18:00-21:00: Life lessons from Brendon Hartley's Motorsport career; will he be Porsche's Formula E driver? 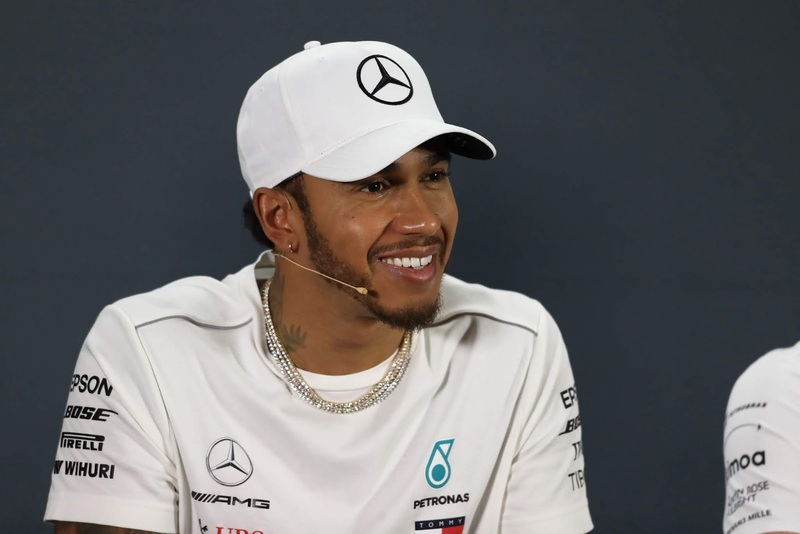 Lewis Hamilton is open to playing second fiddle at Mercedes, did you know? We know how this latest F1 season ended, but who are the real winners? In my latest for Motorsport Week I again seek to resolve the matter with my serial (or should that be cereal?) set of prestigious annual awards, The Golden Grahams. Some of it almost threatens to be serious (best driver, best team...); some doesn't even bother going that far. Hopefully it'll all be taken in the nature intended. Here are my views on those F1 drivers from 2018 who didn't make my top 10 ranking from a few days ago. If you're interested, you can read the top 10 here. Going through the 'other 10' in final drivers' table order brings us first to Sergio Perez, for whom 2018 was more of the same – for good and ill. He racked up plenty of points plus in the way that apparently only he can bagged a podium finish when the very rare opportunity offered itself. Yet Perez couldn't alter his long-time predicament of lingering in the middle ground between being a good midfielder (with money) and a talent that a top team will covet. It didn't help that, while there as ever wasn't much in it, his Force India team-mate Esteban Ocon had the pace edge for the most part. Nor did his hooligan performance in Singapore, first showing not much effort to avoid a collision with Ocon then – far worse – having a rage swipe at Sergey Sirotkin. Kevin Magnussen's season was rather a breakthrough. With him at last getting the many benefits of a second season in a race seat, the results flowed particularly in the early part of the campaign. 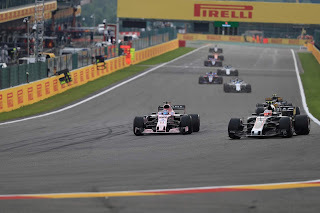 He didn't always string things together though, and more broadly once team-mate Romain Grosjean sorted himself out Magnussen tended to be the second Haas. He also gave more evidence to sustain his enfant terrible image – the criticisms can be excessive but still his move on Pierre Gasly in Baku then on Charles Leclerc at Suzuka were hard to defend. He sometimes gives the impression of revelling in the status but equally it may become a burden. Formula 1 is set to introduce a new television graphics package in 2019. 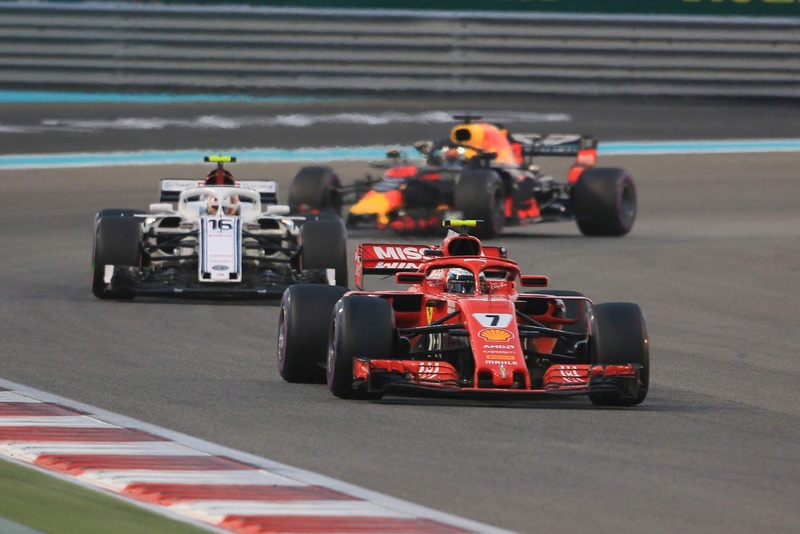 This could mean that drivers will not only battle each other, but against advanced artificial intelligence algorithms that will tell television viewers the probability of an overtake happening. Whether you enjoy such data or not, the 2019 Formula 1 Season will see the 'man vs. machine' fight play out on a different level altogether. Btw, the machines should already know that men have kicked their a**es in Formula 1 since inception! 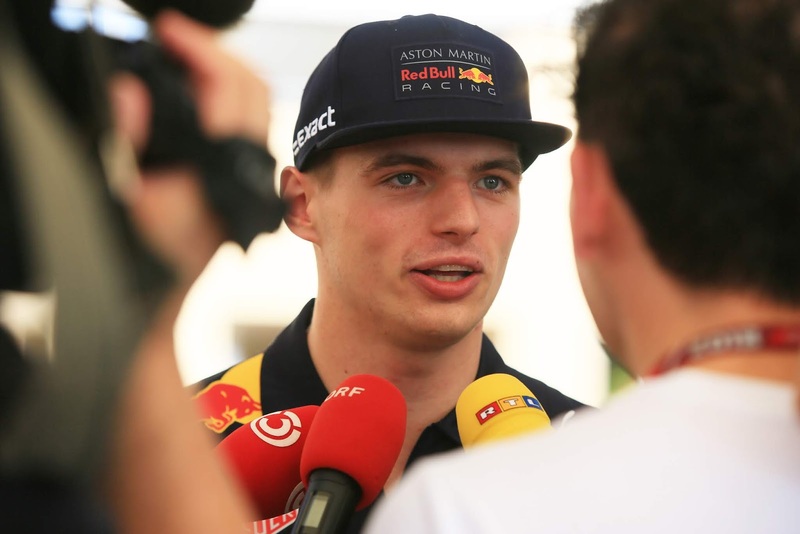 In this week's of the Inside Line F1 Podcast, we discuss the outlandish 'PR statements' made by several teams and drivers, like Max Verstappen claiming that he and Charles Leclerc are Formula 1's new Lewis Hamilton-Sebastian Vettel pairing. Or when Carlos Sainz Jr. hailed the 'great' start to his career as a McLaren driver. Or when Renault claimed that their engine will be on par with Mercedes and Ferrari in 2019. Or when Toto Wolff claimed that Mercedes missed their 2019 engine targets. Or when Marcus Ericsson fuelled the always-on IndyCar vs. Formula 1 debate. Or when Sergio Perez claimed that Lance Stroll has talent. Okay, the last statement might not be a PR one, but anyway, you get the gist of what this episode has in store for you. Lastly, we applaud Kimi Raikkonen's antics at the FIA Prize Giving ceremony. Tune in! 0:00-3:00: FIA Prize Giving Ceremony, Kimi Raikkonen's applaud-worthy performances! Which act was your favourite? 9:00-12:00: Statements #4 & #5, Lewis Hamilton could win the Nobel Prize Award, if he wanted to; that's how blessed he has been all year long! The ONLY team to have not invited Hamilton for a test is - Ferrari! 15:00-18:00: What Wolff Said This Week Section; why would Valtteri Bottas not want to speak to Nico Rosberg? 18:00-21:00: 2019 is going to be well and truly a 'man vs. machine, we tell you why. Inside Line F1 Podcast - What Year Will Alonso Be Back In F1? Will Fernando Alonso give us a chance to miss him? What year could Alonso be back in Formula 1 - 2020, 2021 or 2022? Also, more than what year, it will also be a question of with which team. We certainly don't think it would be Ferrari, Mercedes or Red Bull. 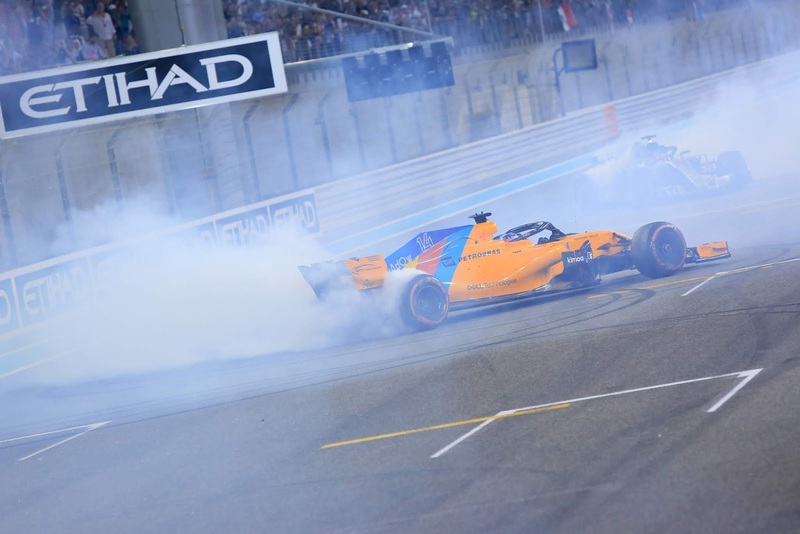 In this week's episode of the Inside Line F1 Podcast, Mithila and Kunal wonder if Alonso's exit would see a mass exodus of fans from Formula 1 - that's exactly what happened when Michael Schumacher quit. History and statistics tell us why Stoffel Vandoorne can be a Formula E Champion. We offer Racing Point creative ways to announce their signing of Lance Stroll. Did Ferrari back the wrong driver in 2018? Forget a fast car, Renault better have a witty social media team for Daniel Ricciardo. And finally, was Lewis Hamilton's 'shirtey' moment a lame attempt to give us something more than Ricciardo's 'shoey'? Tune in! 0:00-3:00: Did ALO take a legion of fans away from Formula 1 like MSC did? 3:00-6:00: Will ALO let us miss him in Formula 1? How soon before ALO is back - 2020, 2021 or 2022? 6:00-9:00: History tells us why VAN can be a Formula E champion and can we get started with McLaren-One Plus jokes already? 12:00-15:00: Did Ferrari back the wrong driver in 2018? What if KUB still has it in him? 15:00-18:00: Mercedes win the Esports Championship too. They are the chosen ones this year. Forget a shoey, HAM did a shirt-y! 18:00-21:00: PER has been Force India's saviour in every way this year. Red Bull's discarded drivers coming to to the team’s rescue. But do they really have a future in Formula 1? 21:00-25:00: RIC's Mercedes promotion. No one saw it coming! Mithila's 'What Wolff Said This Week' section. 25:00: Moments in Time with Lucien and the end! The upcoming book details what can be learnt about the 1994 Benetton controversies whenever other drivers sat within the car, like Johnny Herbert. So what was the Grand Prix winner's view of driving it? Johnny had been tipped for F1 stardom before sustaining serious leg injuries in a horrific multi-car pileup during an F3000 race in the summer of 1988. Despite not having fully recovered, the Englishman bravely returned to racing at the beginning of 1989 with the Benetton Formula 1 team and astonished onlookers by finishing a brilliant fourth on his debut. Herbert arriving for his first Formula One test in 1989. Whenever he was buckled up within the car, painkilling injections were stabbed into his legs. Herbert's injuries still affect him today. 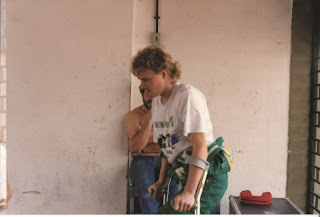 Determined as he was, Johnny's performances progressively got worse throughout 1989 as his leg injuries hindered him on circuits which required heavier braking. This led to a political battle over Herbert's future, between Peter Collins (Benetton's team manager) and Flavio Briatore (Benetton's newly appointed Commercial Director). Collins, having spent three years supporting Johnny through the junior categories was adamant the Englishman should remain, but Briatore insisted on replacing him with a fellow Italian. After failing to qualify for the Canadian Grand Prix Herbert was promptly replaced by Emanuele Pirro (an Italian) and Collins left the team a few weeks later.